Funeral Services for Holly, Colorado resident, Don Holmes will be held at 10:30 a.m. on Friday, February 1, 2019 at the First Baptist Church in Holly, Colorado with Pastor Carl Kissell officiating. Interment will follow in the Holly Cemetery. Visitation for Don will be held from 1:00 p.m. until 7:00 p.m. on Thursday, January 31, 2019 at Valley Memorial Funeral Chapel in Holly. 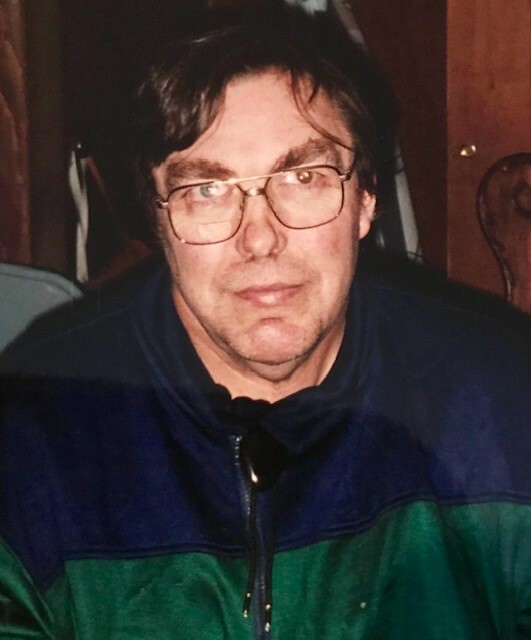 Don Alan Holmes passed away on January 27, 2019 at Holly Nursing Care Center in Holly, Colorado at the age of 60. He was born to Delmar and Patsy (Schlager) Holmes on June 25, 1958 in Ulysses, Kansas. Don’s arrival came during wheat harvest and amazingly enough, Delmar had time to go get them from the hospital. Don attended Webb Country School until the fifth grade, then went to Holly schools and graduated in 1976. Don was active in sports, playing football and was on the wrestling team, where he placed second at the state tournament his senior year. Don married Linda Hackney in 1977. Their son, Darren was born December 31, 1985. Don loved Darren and always wanted the best for him. In his younger years, Don spent many hours feeding bucket calves and always pitched in with all the chores. Following high school graduation, Don farmed south of Holly, and later received his Business degree from Oklahoma Panhandle State University. He loved to watch and talk about sports--especially the Oakland Raiders. You could often find Don cheering on the teams at the area sporting events. He really enjoyed his job as an assistant coach of the Holly High School wrestling team for several years. Don loved playing card games and being with his family. Don was very social and never met a stranger. He loved to talk to people and was very generous as many of you know. In the last few years, Don lost his eye sight and due to his health, he moved into Holly Nursing Care Center. Don loved God and was a longtime member of the Holly First Baptist Church. He also loved to sing and knew every word of many hymns. Don brought joy and comfort to his family and everyone he was around. We will miss Don and know he is in heaven with his mom praising God. Don is survived by his father, Delmar (Sally) Holmes of Holly, Colorado; siblings, Delma (Mike) Cliett of Colorado Springs, Colorado, Jimmy (Jan) Holmes of Holly, Colorado, and Vicki (Rick) Berndt of Moore, Oklahoma; son, Darren Holmes of Syracuse, Kansas; many other relatives and friends. He was preceded in death by his mother, Patsy Holmes and nephew, Jesse Holmes. Memorial contributions may be made to Holly Fire and Ambulance in care of Valley Memorial Funeral Chapel, P.O. Box 950, Lamar, Colorado 81052.